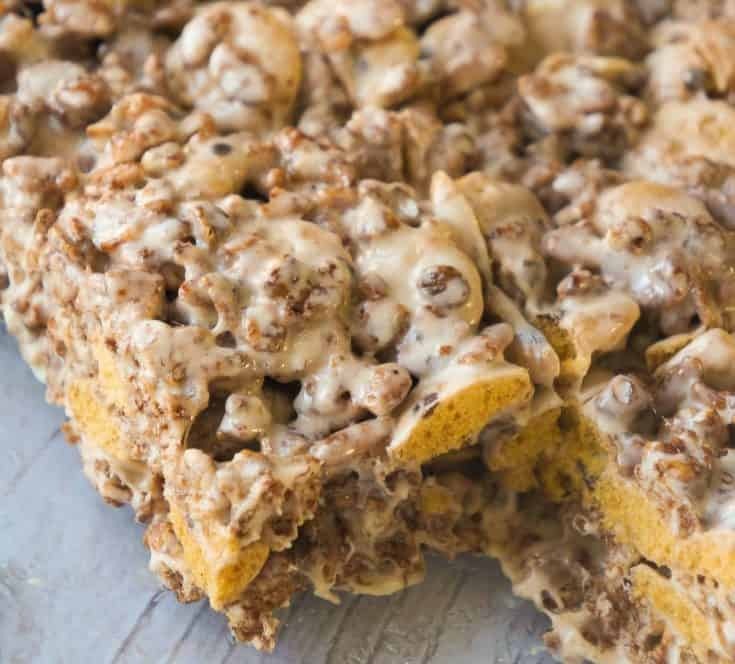 Chocolate Rice Krispie Treats with Cookie Crisp Cereal are a fun twist on classic rice krispie squares. 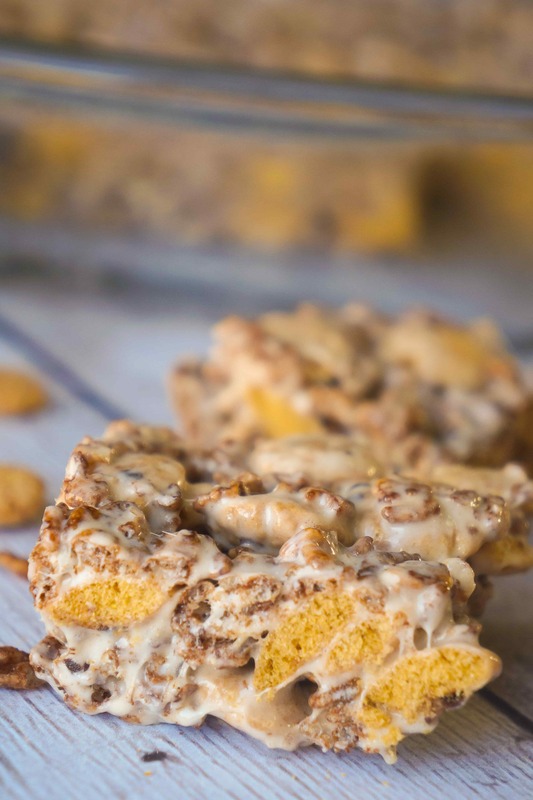 These delicious marshmallow treats are made with Cocoa Rice Krispies and Cookie Crisp cereal. 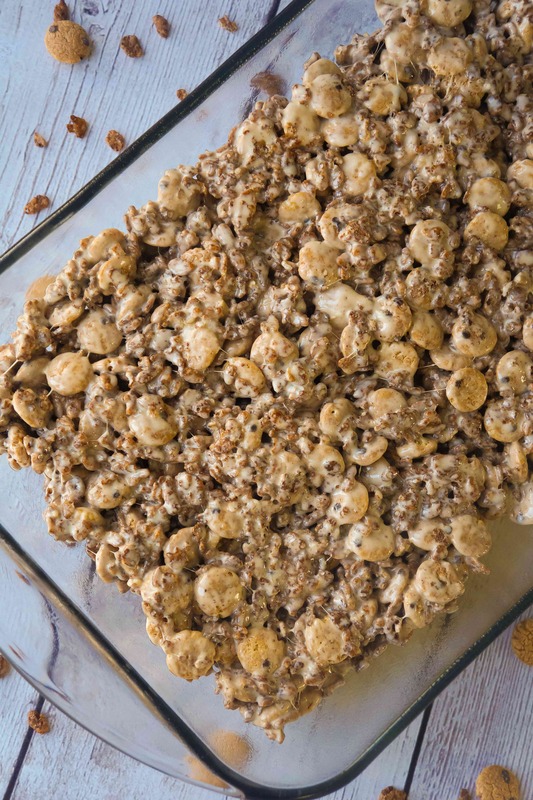 To make these rice krispie treats I started by melting some butter in a large sauce pot. 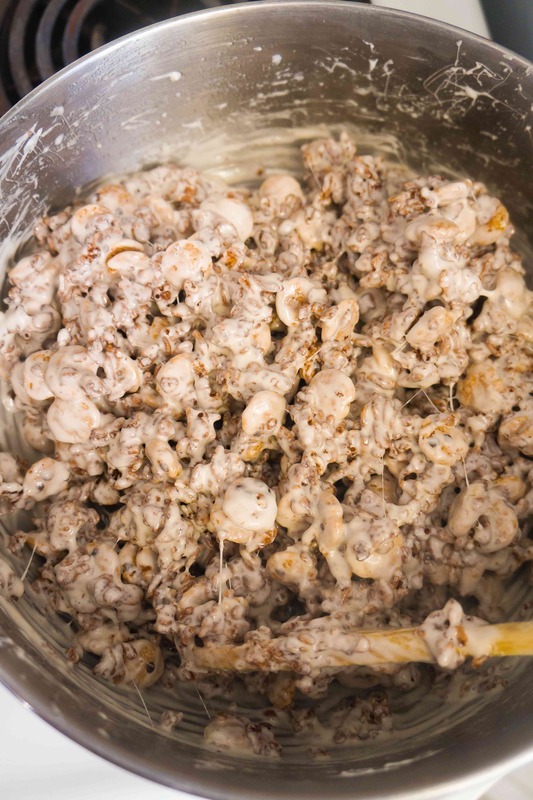 Once the butter was fully melted I poured in a bag of mini marshmallows and melted them slowly stirring the whole time. As soon as the marshmallows were melted I removed the pot from the heat and immediately poured in the Cocoa Rice Krispies and Cookie Crisp cereal. 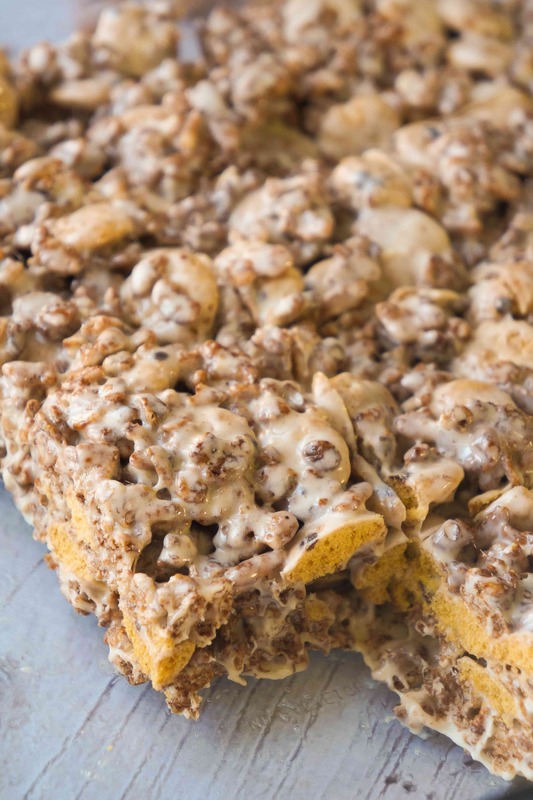 I stirred the everything really well until all of the cereal was completely coated in marshmallow. Then I dumped the mixture into a greased 9 x 13 inch pan. 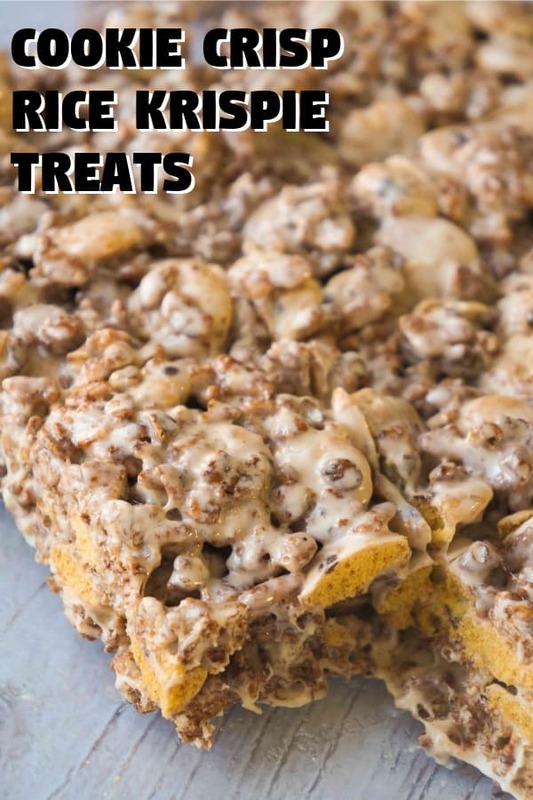 I used a rubber spatula that I greased with cooking spray to gently spread the cereal mixture out evenly in the pan. If you don’t grease your spatula the marshmallow will stick to it and you will have hard time spreading the mixture out nicely. 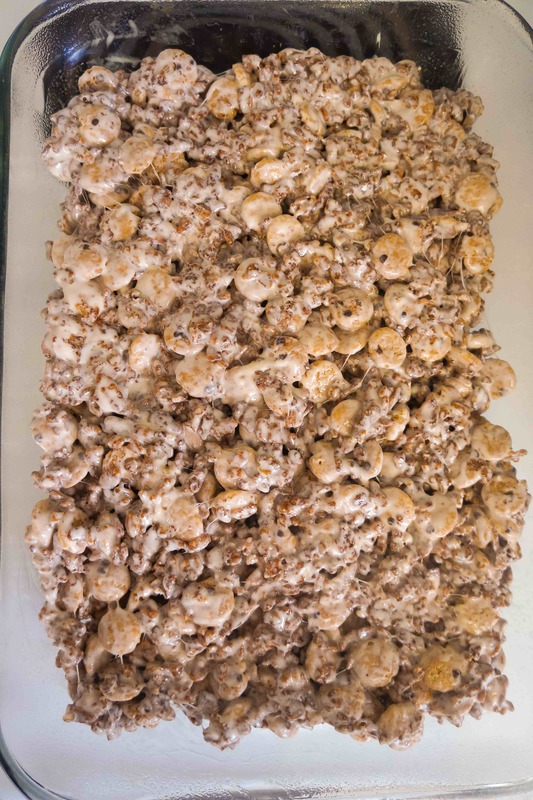 I allowed the rice krispie squares to cool completely before cutting them. 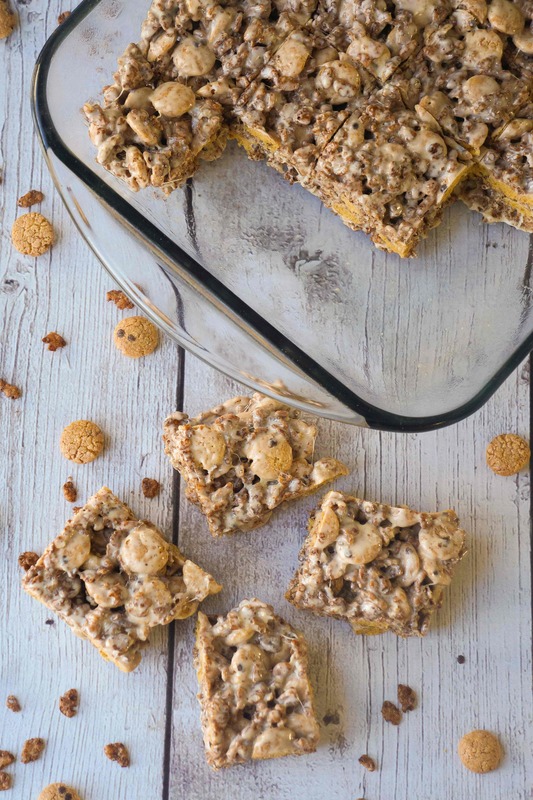 If you are looking for a fun and easy dessert recipe be sure to try out these Chocolate Rice Krispie Treats with Cookie Crisp Cereal. 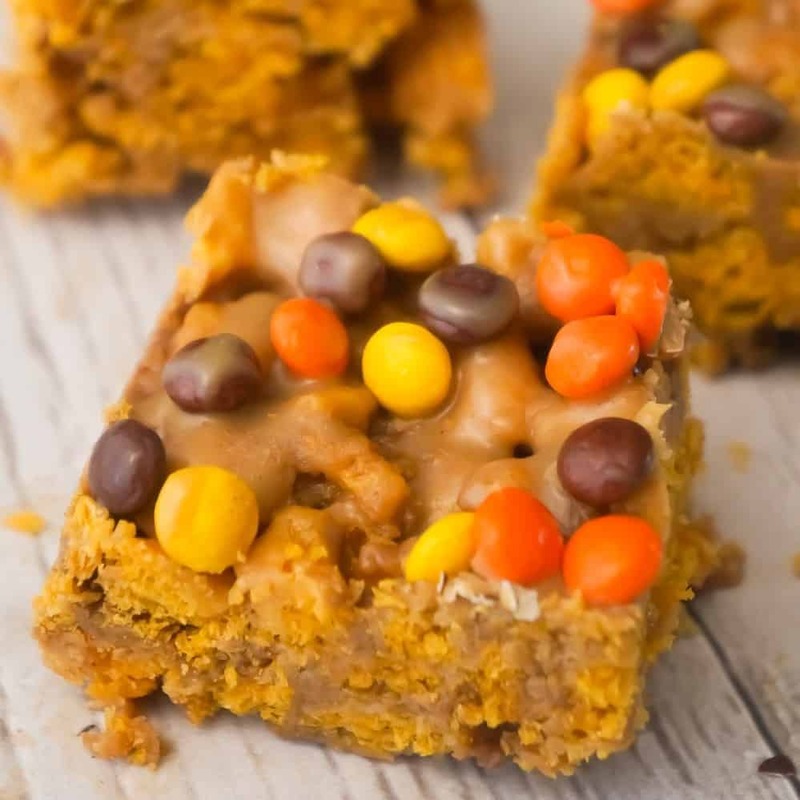 If you are looking for more easy dessert recipes be sure to check out Peanut Butter Rice Krispie Treats, Banana Sugar Cookie Bars, Caramel Peanut Butter Cookie Cups and Caramel Chocolate Cream Cheese Stuffed Cookies. 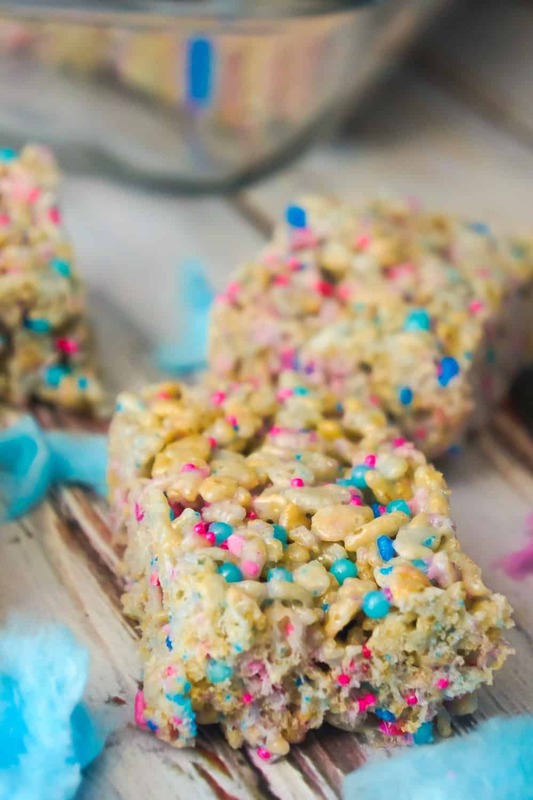 Chocolate Rice Krispie Treats with Cookie Crisp Cereal are a fun twist on classic rice krispie squares. 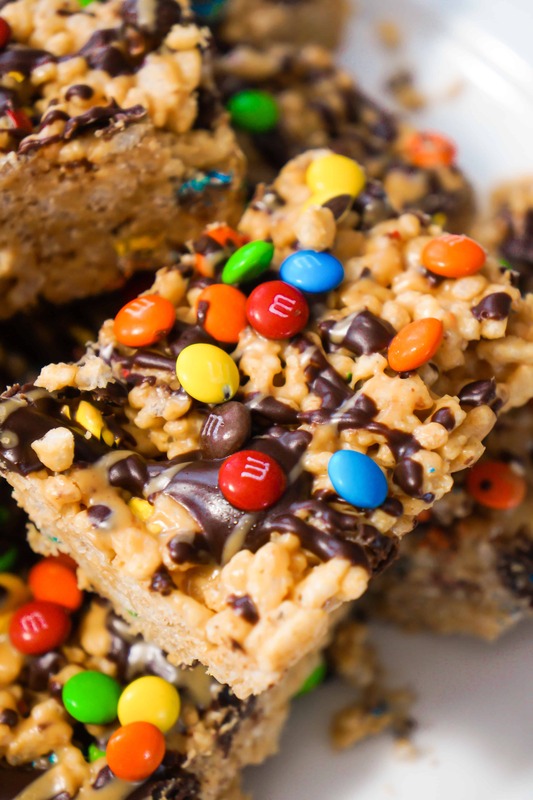 These delicious marshmallow treats are made with Cocoa Rice Krispies and Cookie Crisp cereal. Melt butter in a large sauce pan over medium-low heat. Once butter is completely melted pour in mini marshmallows stir well. Continue stirring slowly until marshmallows are completely melted. 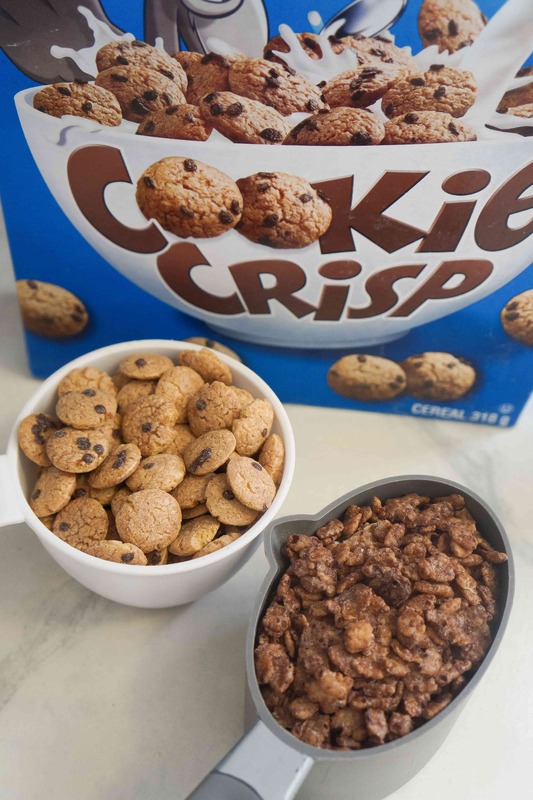 As soon as marshmallows are melted remove the pan from the heat and immediately pour in the Rice Krispies and the Cookie Crisp. Stir well and make sure that all of the cereal gets coated in marshmallow. Pour the mixture into a greased 9 x 13 inch pan. Use a greased rubber spatula to spread the mixture out evenly.